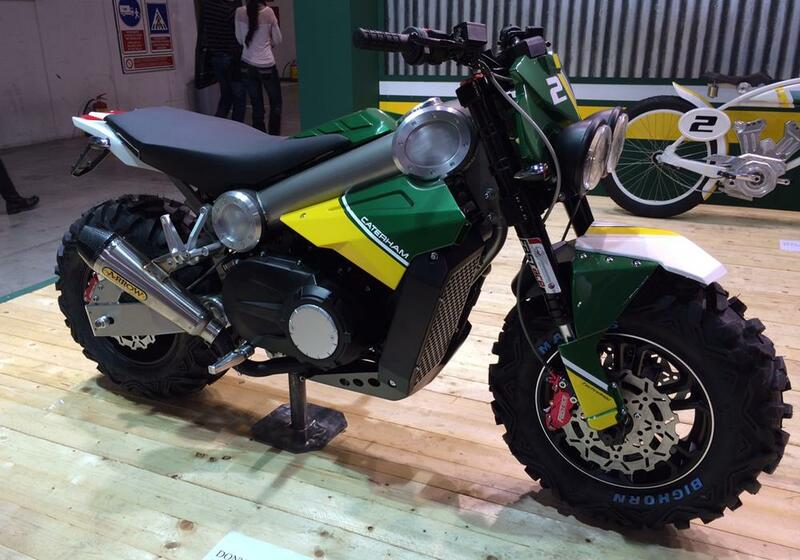 Caterham Group has launched its first ever motorcycle division – Caterham Bikes – at the Milan motorcycle show today. The firm has ambitious targets and is already planning three models including the Brutus 750 which it is calling the ‘SUV of motorcycles’, a Classic E-Bike with retro styling and a Carbon E-Bike which has been inspired by Formula One technology. These bikes are seen here for the first time and will be launched throughout 2014 as part of the expansion of the Caterham brand under the ownership of Tony Fernandes. The company recently announced the intention to race in the Moto2 championship. “The arrival of Caterham Bikes is a natural extension to the expanding Caterham Group since the purchase of the historic Caterham Cars brand in April 2011 by Tony Fernandes and Dato’ Kamarudin Meranun. - Brutus 750 – described as the “SUV of motorcycles”, menacing in stance but surprisingly nimble to ride, the Brutus 750 can operate as a street bike, off-road machine or even a snowmobile (conversion in less than four hours). It is the first motorcycle with an automatic transmissions and the first ever two-wheel SUV.